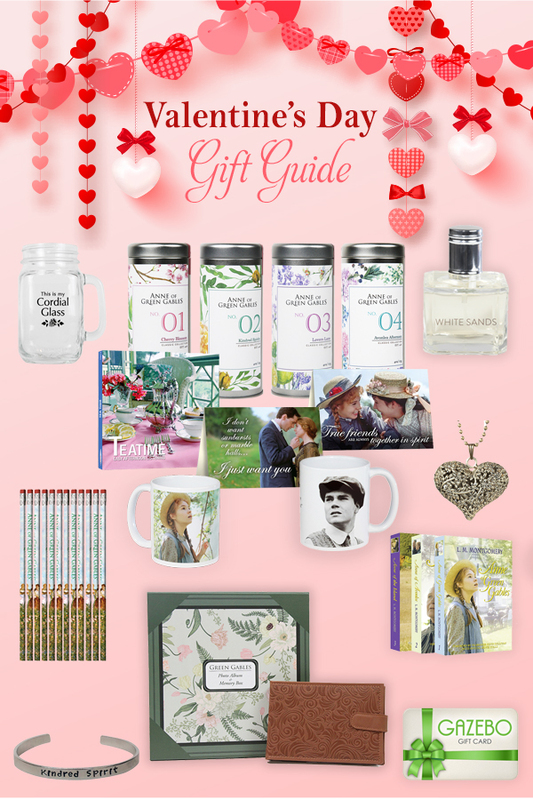 Perhaps the most memorable sequence of all the Anne films is Anne’s journey from the train station to Green Gables with Matthew. On screen, this wonderful scene flows seamlessly from one shot to the next as though we were watching it unfold in real time. The reality however, is that the scene took months to complete using multiple locations in Ontario and Prince Edward Island and Richard Farnsworth wasn’t even in several of the shots. 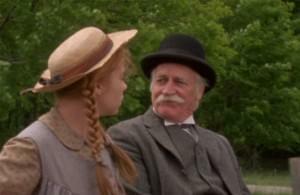 Anne's journey to Green Gables only lasted a short time on screen but it took months to complete and required an enormous amount of planning because Richard Farnsworth was only available for a short time. Kevin Sullivan had to be quite creative filming the sequence in order to make best use of his filming time with Richard without compromising the visual splendour that the scene required. Using the photos below, I will show you where the scenes were filmed and what shots didn’t have Richard Farnsworth in them. The Bright River Station portion of the sequence was filmed at the Westfield Heritage Village near Cambridge, Ontario. The transition shot immediately following the train station was shot on a wooded road on Prince Edward Island. These shots were filmed by a second unit crew using a photo double for Matthew. 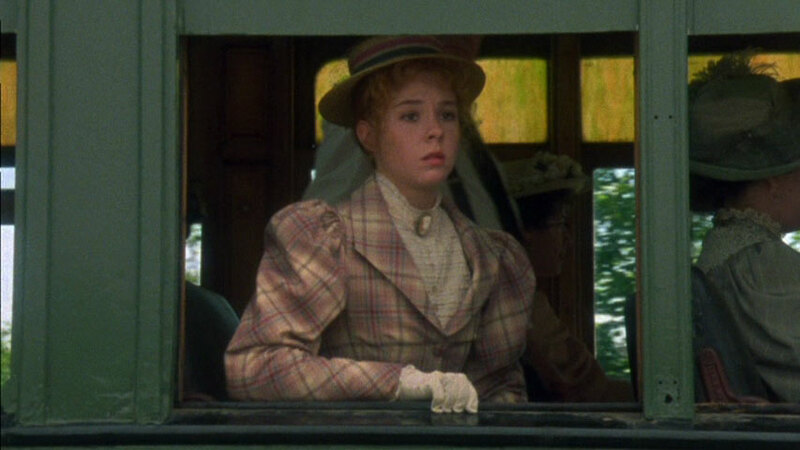 The close ups were shot on a section of the property near Uxbridge, Ontario that ultimately became the site of the Avonlea village backlot on Road to Avonlea. The following two shots were filmed on P.E.I. using a Matthew photo double. This shot was filmed on the Uxbridge property. A few years later the Avonlea schoolhouse was built on the hill directly behind Richard. 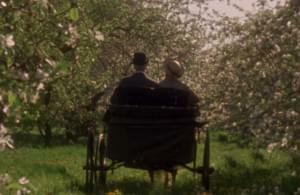 This shot of the “The Avenue” was filmed with a Matthew photo double in an Apple Orchard near Toronto. This section of the scene was filmed on the Uxbridge property. 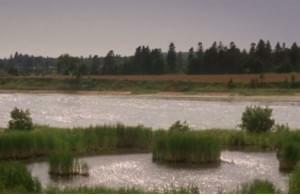 The “Lake of Shining Waters” was filmed on P.E.I. 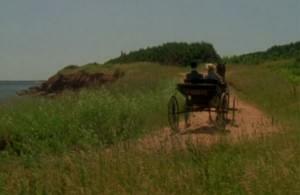 This wide shot of Green Gables was filmed on the Uxbridge property. 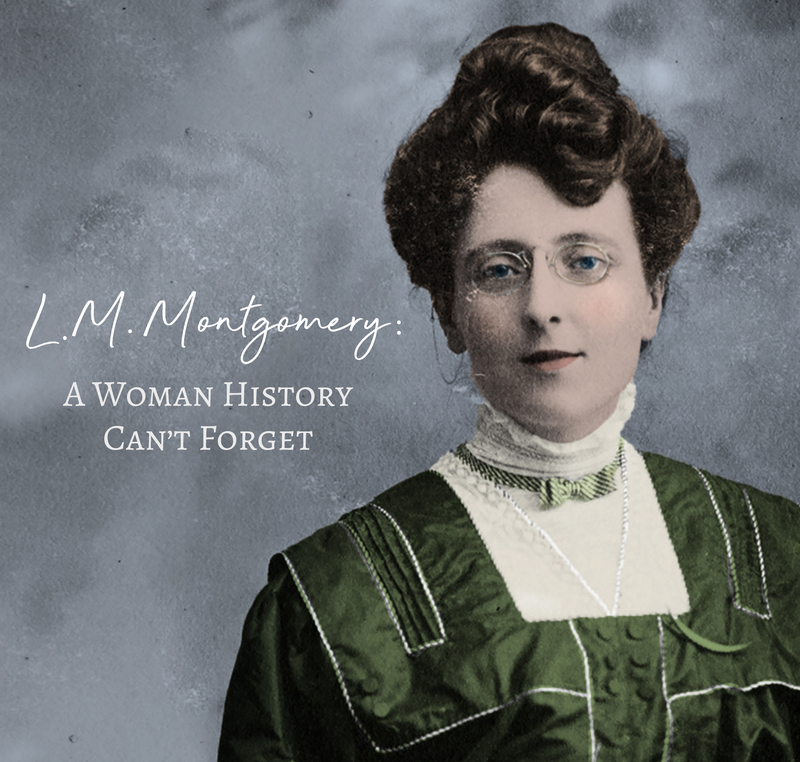 This house would eventually became the King House on Road to Avonlea. This shot was filmed on P.E.I with a Matthew photo double. 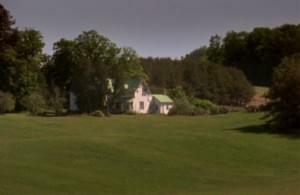 This shot of the front of Green Gables was filmed near Toronto with a Matthew photo double. 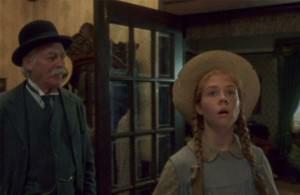 The front and the back of Green Gables were two completely different locations. The interior of Green Gables was a set built in a studio in Toronto. Once all of the individual elements were filmed, it then became the editor’s job to put the scene together the way Kevin Sullivan envisioned it. I think you all will agree that it was well worth the time and hard work that it took to create this timeless piece of motion picture history. 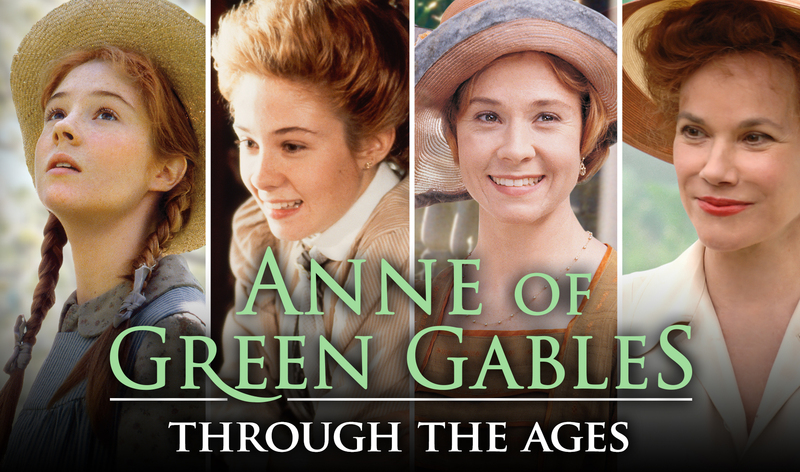 The entire Anne saga is available on DVD at www.shopatsullivan.com.